Call 814-303-9051 to schedule your first appointment. Miracle-Ear® is America's most recognized brand of hearing aids and the name people trust for their hearing aids in Brookville, PA. If you're wondering what it’s like to discover and experience the Miracle-Ear advantage, you can find out for yourself when you visit one of our more than 1300 locations nationwide. We want to be the hearing aid company you rely on for years to come, so we provide our customers with a 30-day, risk-free trial* as well as free repairs and office visits. Hearing aids can benefit nine out of ten people with hearing loss, and we want you to be on your way to getting better hearing. We have a variety of models and styles to select from, and we’ll assist you in choosing one that’s perfect for your individual needs. Our experienced hearing care specialists work hard to offer premium service that includes furnishing you with a free hearing test** to assess your present situation. Are Your Emotional Issues From Hearing Loss? All of our Miracle-Ear locations are independently owned and operated, and our company has more than 70 years of experience. Our goal will be to improve your hearing with industry-leading innovations like that in our new GENIUS™ Technology. Most of the hearing aids we offer come with a three-year, limited warranty††. If you think you have hearing loss due to your age, genetics, a background of working with noisy machinery, or history of listening to loud music, then let us be of assistance. Contact us today to schedule an appointment at our hearing aid center in Brookville. Julie started working as a receptionist for Miracle Ear in 2003. After 2 years, she became a Hearing Instrument Specialist, then in 2008, she became Board Certified. She worked as an employee until this year when she had the opportunity to become an owner of a Miracle-Ear Franchise. Julie is a Board Certified in Hearing Instrument Specialist. She became Board Certified in 2008 after 3 years of fitting experience. 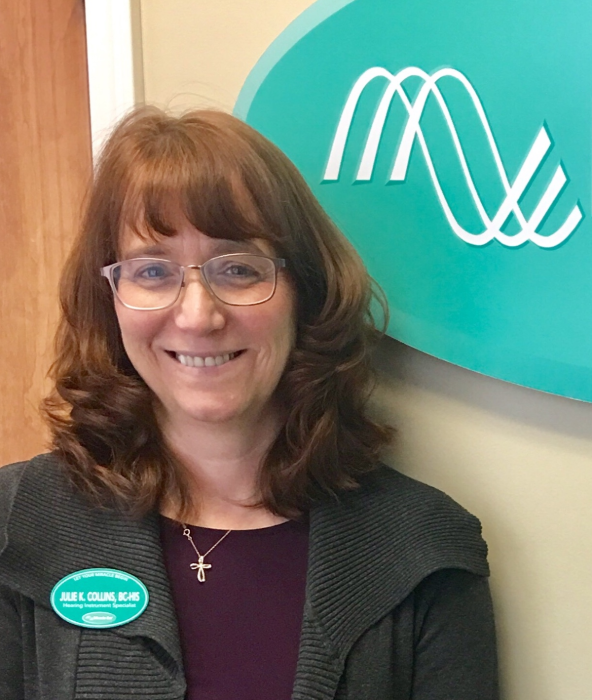 In 2016, she became the owner of the Miracle-Ear Franchise in Brookville, PA.
Julie has a very good understanding on how to help people hear better. Her job allows her to change the quality of life for her clients, in a good way. She's very confident in her work. She absolutely loves her job! !